3D printers have long advocated how 3D printing is a zero to low waste manufacturing process, and with the development of Buzzed Beer 3D print filament, it has opened the doors to all sorts of recycled filament opportunities. 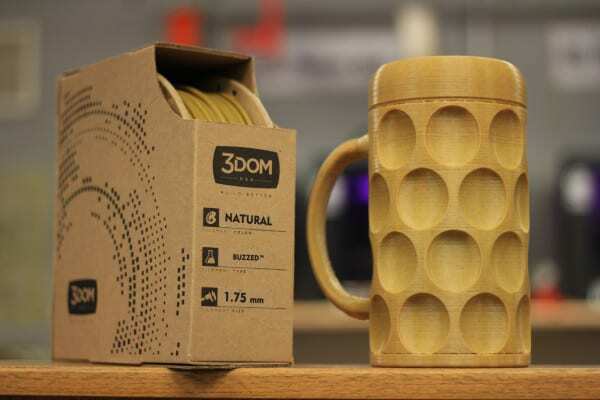 By repurposing the by -products made from the production of beer, this boozy filament makes it fun to “go green” with 3D printing and the perfect example of collaborative capitalism. It is Hump Day of Earth Week and we are talking about collaborative capitalism today. Tom and I believe in a process of doing business called collaborative capitalism, which means you collaborate with those that are doing great things. Everybody wins. It’s not heavy competition, kill your competition. It’s like competition is good because competition means there is a market. A large portion of our career, up until a year ago, was all about competition, about hating your competition, trying to beat your competition, trying to hide the unique things you are doing from your competition so they wouldn’t copy you, and not collaborative capitalism. A lot of our experience in Asia supported some of those thoughts. In the last year, we have seen the light and come to realize that cooperation beats competition any day. I thought we would give a shout-out to our fellow podcasters, Fargo 3D Printing. 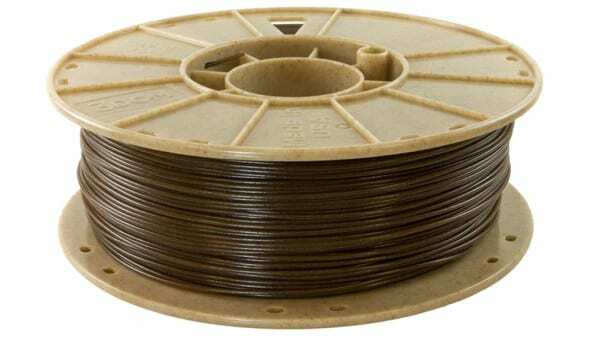 They have launched a cool product line: beer filament and coffee filament and hemp filament. A little bit of that is maybe not the perfect fit for Earth Week, but I am making a stretch here because that sounds too cool. This is filament that is made from the byproducts of the beer process. I don’t know about the hemp or the coffee. They actually have a large component of these products that are made from beer, hemp, and coffee. I wonder if the guys who use the hemp stuff hang around the printer too much. I think it’s cool that they have worked on an eco-spool with bio-based materials rather than oil. There are a lot of things they are doing here. The video for the beer filament is awesome. I love their names. Their podcast is fun. There is no question about it. It is more techy and different from our speed, which is why we felt there was room for us in the market. We never intended to compete against it. Let’s all participate and have our area of the market, helping the market grow together. Everybody wins in that. Collaborative capitalism is the way we believe, is the best way to work. It makes for a better earth when we don’t think about each other in that competitive, nasty way. Whenever there is a good product, I don’t care who makes it. I am going to give a shout-out to it. We haven’t tried it yet, but I totally want to. This is not a review. We can’t vouch for this. It’s not available yet. Some of it is out of stock, so we couldn’t get it. When we looked at the podcast market, there were a few. That was a good sign. That said that people wanted to hear about this. We went out there with the idea of doing something a little different that we thought people would enjoy and want to come back and listen to day after day, week after week. The way our audience is growing, I think that is true. Nothing against those guys. They are more on the technical end of things, and we are more on the business and design side. There is room for everybody when you look at it through a collaborative capitalism lens. Wake up to the smell of 3D printing with coffee filament in the morning. This stuff is cool. I want to try it as soon as I can. I would love to find out if it smells like coffee or beer. If we could have our office smell like coffee while we are printing, I’m in. It’s still PLA-based, so you can’t print a coffee cup with coffee filaments, but we could print a coffee sleeve. We have designed a coffee sleeve, this will be our first 3D design of ours that will be available out there for any of you to get. They have some glass-filled PLA, and they have a couple of these ones where they change from one color to another. They give you the ombre mud mix. We have seen that transition happen. If it is the right color, it looks good. If they are transitioning from blue to some other weird color, it just looks like dirt. You could use that for things when you don’t care what color they are. They charge less for that material. At the same time, they don’t tell you what color you are going to get, so it’s a grab bag. I am having a déjà vu back to when we lived in Michigan. When I was first designing products out there, I worked with some guys who did engineering on Fruit Loop extruders for Kellogg. They make red ones and orange ones and yellow ones and purple ones. There was always a transition when they would change colors. There was a bunch of Fruit Loops that came out looking like mud. I will never forget what the guys told me happens to those mud-colored loops. The poor Canadians. They would save them and package them to Fruit Loops that were distributed in Canada. The USA market gives FDC dye red # whatever and yellow # whatever because it is good for you. The Canadians get the transitions. That is terrible. Our poor Canadian listeners. I am so sorry if you grew up on that. I thought we should mention the cooperative community. A couple of weeks ago, we were listening to a speaker who spoke about how he managed to get himself a job coding, but he didn’t know how to code yet, so he “hired” some coders at another school to come do it for him. He paid them beer and pizza. That is the part that is not cooperative or collaborative capitalism. That is where I draw the line. That takes advantage. That is why I am militant about it when we see it happening to designers in this industry. If you are going to build your businesses on the content, then you need to pay the content makers. That is where I draw the line. Those that provide the most valuable part of it need to be paid the most. That is how the economy around 3D printing is going to work eventually. When 3D printing does go mainstream retail with the zero inventory model, when that catches fire, who is going to be in demand, and who are they going to need to pay? Designers. They need to create that content for retailers to sell and distribute. It will still be cheaper than traditional manufacturing of something. It will still be cheaper from an overall load. If you are going to cheap out and say you will get that for free, that will not happen. We have turned down projects that have come our way because of that. I don’t think that you can take advantage of that. it does a disservice when you say that you should get it. We do get these comments, “You guys should be providing your designs for free and do a service to the industry.” I say no. The biggest service to the industry is to prove there is a value for that. There is an economy here that will continue to be here in ten years. That is our mission: to create value and make sure they understand that. I believe in the end it will be cost-effective, economical, and sustainable business for all parties involved. It is not sustainable if you are taking advantage of a person in the process. That is cooperative and collaborative capitalism.